08 Apr Battle in the Cosmos for Greed Talismans! 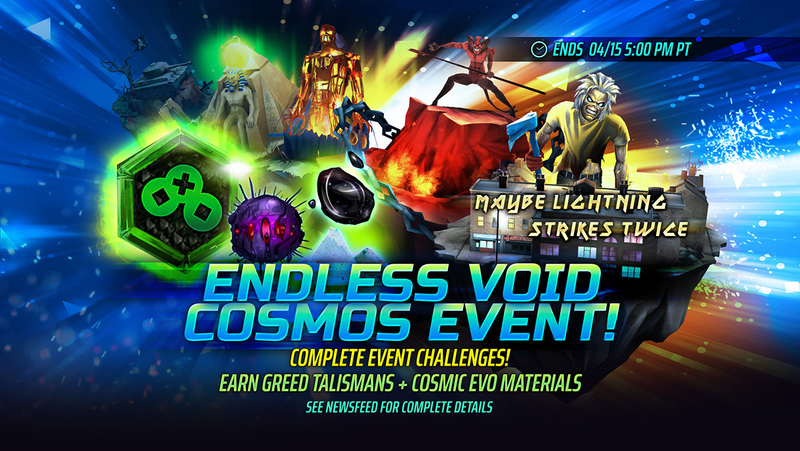 – Endless Void Event on NOW! Battle in the Cosmos for valuable rewards! From now until April 15th at 5PM PDT, complete event challenges to earn rewards such as Greed Talismans, rare Cosmic Talisman evolution materials and more! Greed Talismans are green talismans with a 4 set effect. Equip a full set to Steal a random beneficial effect from the target on basic attacks. It will also Heal all allies for 5% of your Max HP on Perfect Attacks. This event is also an opportunity to earn Cosmic Talisman specific evolution materials such as the Onyx of Ruin, Demon Seed and Ashes of Ice. Apply a variety of beneficial effects to your team in order to earn these rare items!